Having more than one passport has become much of a trend these days. This has particularly gained popularity after wealthy people showed an interest in moving to foreign countries for the sake of touring or solely for study purposes. It is for this reason that mass migration has become common in a number of countries. It is because of this that more and more people these days are interested in acquiring second passports and gaining citizenships of different countries. For instance, a lot of people have lately acquired residency in Cyprus and received their Cyprus passport. People get their national identity as well as passports changed, depending on the country they wish to reside in. What does the term dual citizenship mean? Dual citizenship or second citizenship is a process that has recently gained immense fame. A major reason why people these days are so interested in the acquisition of citizenship of two different countries is because it makes it possible for them to enjoy the rights and facilities that both the countries have to offer. This allows for them to benefit from the rights that they are granted in both countries. The one thing that you need to bear in mind is that the legal right as well as services of both the countries might not match. 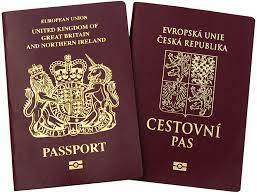 However, these might suit the overall dual citizenship system. To make things clear, the process of gaining a second citizenship entails being a citizen of two different countries at the same time. This way, the individual gets to enjoy the legal rights granted to him by both the countries along with the amenities and facilities received by their citizens. Why is there a need for people to gain dual citizenship? As humans, all of us wish to enjoy the best living standards and enhanced monetary conditions. One of the easiest means of doing so is by the acquisition of a dual citizenship. This makes it possible for the dual citizen to always have the opportunity to move to a different country and reap the benefits that its citizens get to enjoy. The one thing that you need to bear in mind is that the laws of both the countries might differ greatly from one another. Some countries deem it necessary for their citizens to get their citizenships renewed at regular intervals. Apart from enjoying the benefits of both the countries, getting a second citizenship makes it possible for you to make investments in both the countries too. If truth be told, you can actually opt for a citizenship by investment too.